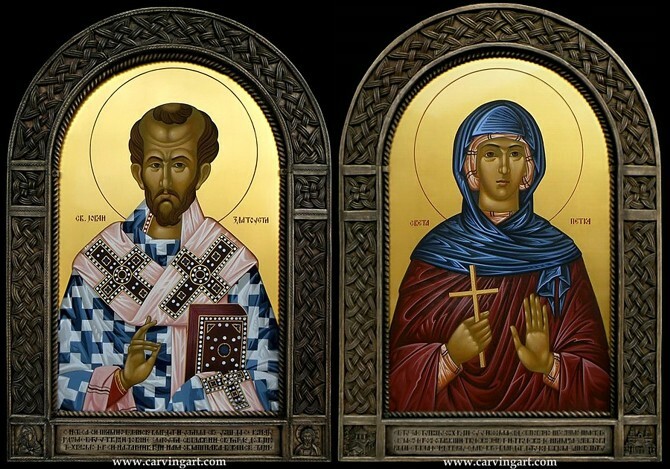 This is a matching pair of framed icons that I made for St. Sava church in Cambridge, MA. They were donated to the church by Mr. Milo Matejic. Frames have miniature carved details in the corners - St. John icon frame has Mother of God with Christ on the left and Christ Pantocrator on the right, while St. Petka icon frame has St. Petka's Church in Kalemegdan, Serbia, on the left (where here relics spent some time) and the Metropolitan Cathedral in Iasi, Romania, on the right (where they are now). 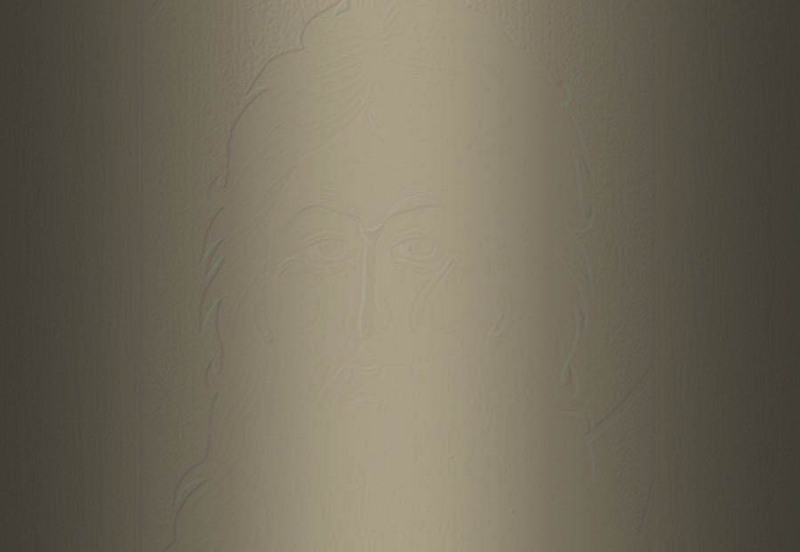 The words under the icons are kontakions to each respective saint. Both frames are carved out of common walnut (known in the US as English or European walnut). Icons are painted in egg tempera, and have a 24 karat gold leaf background (brushed, not polished).